1. Combine the water, and sugar, in a medium saucepan. Stirring until the sugar dissolves. 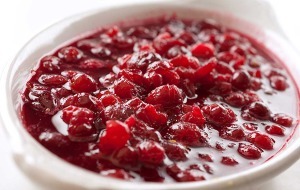 Bring to a boil over medium heat, add cranberries stir and let simmer slightly covered until the berries burst open and the cranberry sauce thickens slightly, stirring often, about 15 minutes. 2. Transfer sauce to a bowl, add walnuts and let cool. I make this the day before and store in the refrigerator. I prepare this the night before. 2. Combine all ingredients and mix well. Pour batter into a greased shallow baking dish. Bake for approximately 20 to 25 minutes. Remove from oven and let cool. 1. Crumble cornbread in a large bowl. Set aside. 2. Melt butter in a large skillet over medium. Add the celery and onion and sauté about 5-10 minutes. 3. Add all the ingredients to cornbread, including 1/3 cup of sweet potato juice, mix well, and bake for 30-45 minutes. Use 1 loaf of homemade bread (or gluten-free), sliced and toasted or baked, until dried. Use food processor or coffee grinder to make breadcrumbs. (I prepare this the night before and place crumbs in covered dish). 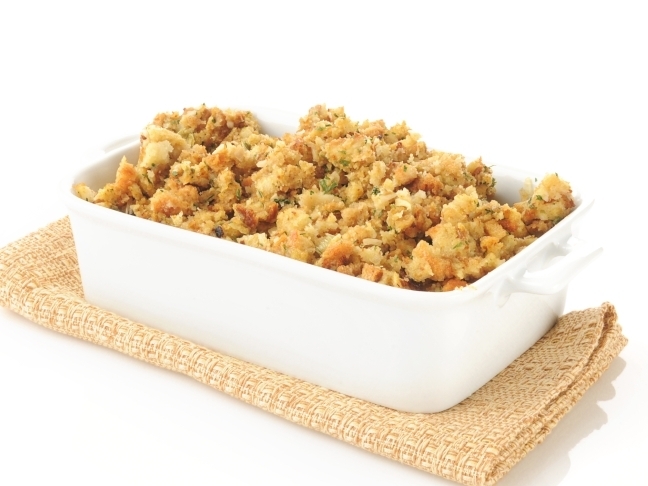 Follow the same instructions for the cornbread stuffing. Add more sweet potato juice if necessary. • ½ cup of raisins.